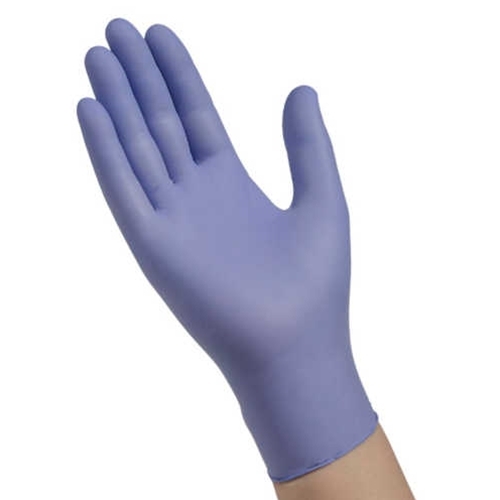 Flexal Nitrile Powder Free Exam Gloves from HealthyKin.com protect the hands from potentially infectious materials and provide enhanced tactile sensitivity over traditional nitrile gloves. They offer an alternative to latex and help deliver savings over most other nitrile examination gloves. As a gunsmith, I work with a variety of solvents and potentially corrosive cleaning agents. These gloves allow me to maintain manual dexterity while avoiding skin contact with potentially harmful chemicals. I tried a few other brands before I found this brand. The fit and durability of these gloves far exceeds that of the other brands I've used. I was introduced this product at the hospital since all of my family members were allergic to latex. I googled this product and it was shown "on sale" on ebay. I went to the homepage of the product and was lead to Healthyskin website. this was my second purchase. Happy customer. We use these gloves around the house for everything. They are great for working on automobiles, around household cleaners, painting, glues, medications and handling fiberglass insulation. The gloves are more durable than other nitrile gloves we have tried. The textured fingertips help with handling small and slippery items. Primary, I'm using the gloves for applying the topical solution (prescription drug) on the scalp. I'm allergic to latex. Secondary, I wear it to clean the house with household cleaning solution. It served my purposes perfectly. I alway buy flexal Nitrile Powder Free Exam Gloves on healthykin website because it's recommended by the brand. Great gloves for medical use. Good price and quick delivery.